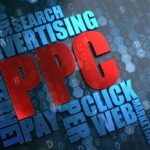 These reports, however, do not reveal the role that prior website referrals, searches, and ads played in the conversions. 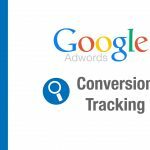 The Top Conversion Paths report does. Note: If you are not familiar with the term “conversions” and how vital it is to set up goals (destination, event, etc.) 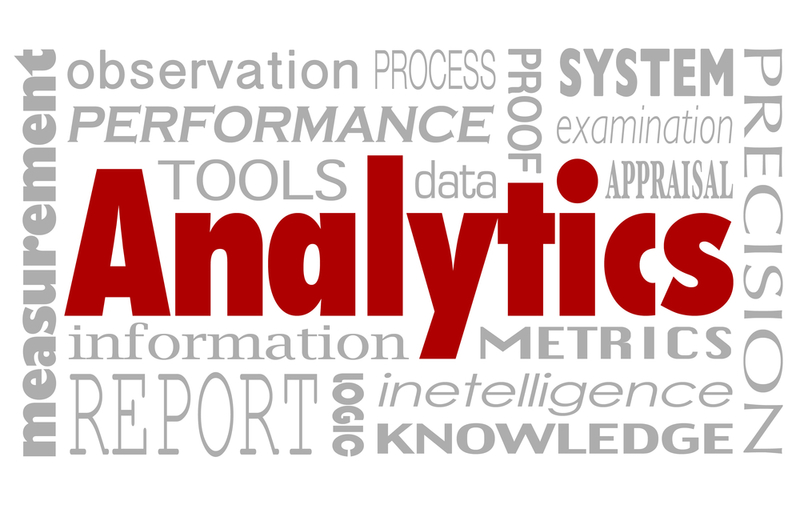 in analytics, I suggest that you read about conversions and how to set up goal conversion tracking for your website first before proceeding. 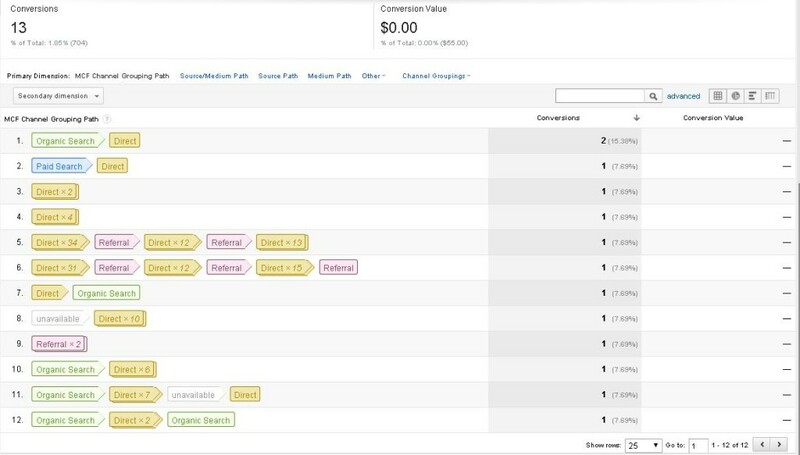 What this provides is data that can help you or your clients decide how much budget should be allotted for each marketing channel plan budget for the future. Here is a recent monthly Top Conversion Paths data for a client that is in B2B marketing and the conversions being tracked are inquiries or leads through forms found on different pages of their website. The report shows one particular goal conversion type which is the submission through inquiry forms identified by a Thank You page after submission. The drop down button on the upper left, under Conversion lets you select the type of conversion. Another information shown in this report are the conversions that have a path length of two or more steps. The photo below shows how to select the path length. As you can see, there were actually 41 form submissions for the whole month but only 28 (68.3%) of them were first-encounter conversions. The remaining 13 (13.7%) actually visited 2 or more times before finally deciding to submit an inquiry. 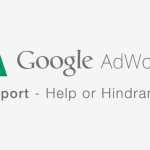 You can also select the type of path, between All and Adwords. You can read Carrie Hill’s post in Search Engine Land about Multi Channel Funnels – Top Conversion Paths – AdWords report if that’s the route you want to take. In my case, I selected All types of paths. Also, the lookback window for the report above was 30 days prior to conversion. This is how different it would look for some of the conversions if that was set 90 days (3 months) prior to the inquiry submission. Not much difference? Well, it actually gives little but still, additional information about conversion path numbers 8, 5 and 6 on the 30-day lookback window. It just shows additional steps or visits that a converting visitor made that you may have not seen in a shorter lookback window. 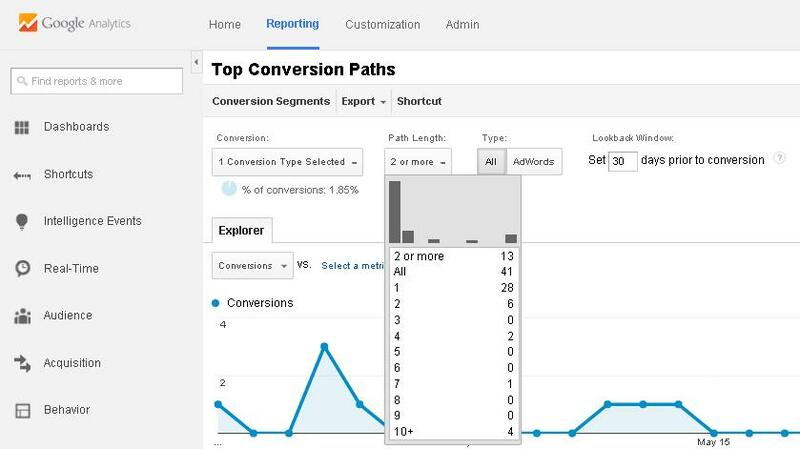 Now how do you view the step marked as “unavailable” in the Top Conversion Paths report? To view this, I used the secondary dimension Keyword (or Source/Medium) Path. You can also use the Campaign (or Source/Medium) Path or just the (Source/Medium) Path. When you use one of those, it will show the Source of that particular step’s visit. What used to be unavailable will now become visible. Doing this will reveal other possible sources or channels that you may need to focus your advertising on. That’s what viewing the path marked unavailable can add into your data analysis. If you have any other additional insights, please feel free to share by commenting on this post. Previous PostHow Will Google’s Buy Button Affect Mobile SEO? This is exactly what I was looking for. Thank you very much!